SOUTHAVEN, Miss. – From the beginning of her college career, Jasmine Lee wanted to be an educator. 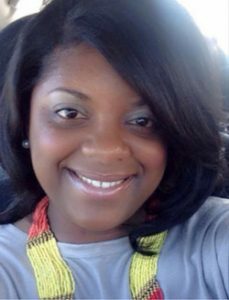 She graduated with an associate degree in education from Northwest Mississippi Community College and enrolled at Mississippi State University. In her junior year, however, something just didn’t feel right. In the summer of 2015 Lee reached out to the staff at the University of Mississippi at DeSoto Center – Southaven to take advantage of the campus’ 2+2 partnership with NWCC. She credits Sheriece Robinson, UM-DeSoto academic advisor, for helping her confirm her decision to pursue social work. Now a senior at UM-DeSoto, Lee is president of the Student Social Work Organization. She has dedicated herself to serving the community. After Commencement, Lee aspires to pursue a master’s degree in social work and become a licensed social worker at Le Bonheur Children’s Hospital. For more information about the University of Mississippi – DeSoto, visit olemiss.edu/desoto.